The second Major championship of the year, and the first full-field Major following the limited numbers that we always see at Augusta for The Masters, is almost upon us and, as always, the bookmakers are falling over themselves to grab your business - great news if you fancy a punt! With money-back specials galore and many layers extending their each way terms there's even more scope to make a profit this week. Three deals stand out more than most though, and they are Stan James and Paddy Power's US Open 7 places each way special for mobile customers only offers, plus BetVictor's straight 7 places EW on PC & Mobile. That's right, a normal full-field golf event on the PGA or European Tour sees bookies offering 5 places for each way bets; at some bigger events and Majors you sometimes get 6 places EW. But place a bet through one of these 3 options and you'll get a whopping 7 places EW at Merion this week! Great if you're backing a longshot but equally important if you're backing a shorter priced player each way. Please note - you MUST access the Stan James and Paddy Power offers using a mobile device to get the 7 places EW offer. 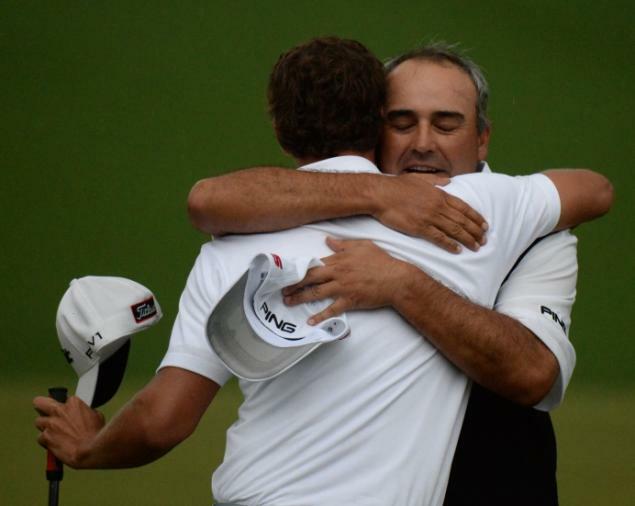 We backed Angel Cabrera at 110/1 at The Masters and he came oh so close to grabbing a famous victory, ultimately losing in a playoff to Adam Scott. Having those extra each way places to hand certainly gives you the confidence to add an outsider or two into your portfolio and give you a chance of grabbing that 3-figure winner! Will there be another longshot contender at Merion? Bet365 - £200 In free bets. Claim your free bets here - plus 6 places each way. BetFred - £50 free bet. Claim your free bets here - plus 6 places each way. William Hill - £25 free bet, use promo code C30. Claim your free bets here - plus 6 places each way. They paid out on Tiger Woods to win the 2009 PGA Championship in ROUND 3 even though he went on to lose to Y.E. Yang! To grab 7 places each way on mobile with Paddy Power - plus Bet £/€10 Get £/€20 - click here! US Open 7 places EW offer correct at 08:40BST 11.6.13 but naturally subject to change or removal without notice.